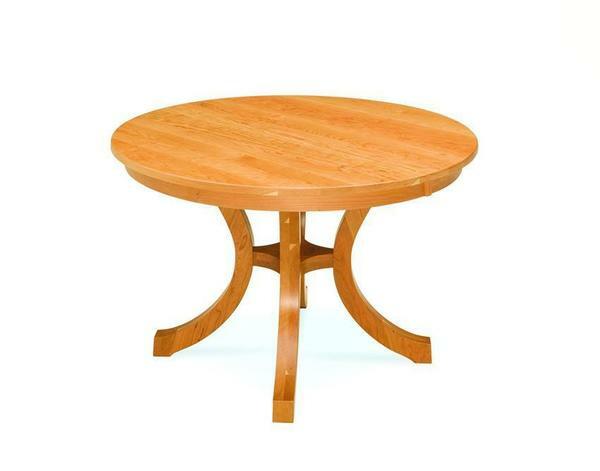 The Amish Carlisle Round Table is a stunning single pedestal dining table sure to bring added beauty and joy to your dining room or kitchen dining space. This table features a transitional style with shaker-influenced characteristics. Boasting a modern feel with smooth lines and clean cut edges, the Carlisle pairs nicely with contemporary and shaker style dining chairs and dining furniture. Pair this gorgeous table with a set of dining chairs for a lovely area to enjoy breakfasts, lunches, and family time for generations. Contact us today to speak with a friendly and knowledgeable furniture specialist to begin creating the perfect dining table for your home! 1-3 Leaves Available on 48" and 54"